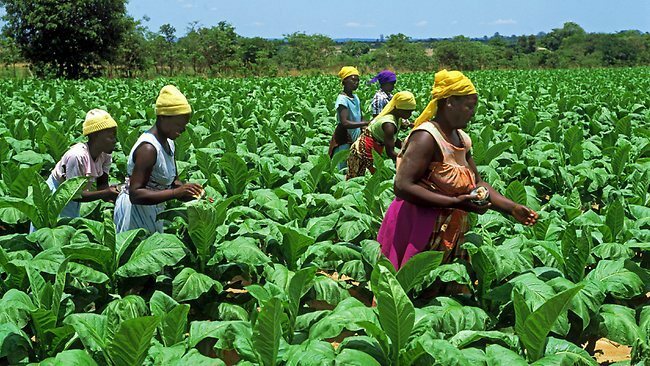 The low number of unemployed youth engaging in agriculture should be a concern for the governments. An apprenticeship framework is necessary to make the sector desirable for young people. It is lamentable that youth are blamed for not taking up opportunities in agriculture yet the infrastructure and conditions are not favourable to this demographic. Despite a growing workforce, Kenya’s economy is not creating enough productive jobs, particularly for the youth. A report by Trends and Insights Africa indicates that 86 per cent of the nearly 13 million unemployed Kenyans are youth. Urgent interventions are needed to address the youth unemployment time-bomb. Although agriculture remains the backbone of Kenya’s economy, most young labour market entrants prefer the fast growing non-agricultural sectors. Apprenticeship would give young people a unique opportunity to earn while they learn and gain qualifications and skills. The Centre for African Bio-Entrepreneurship (CABE), for instance, has proposed an apprenticeship policy framework on youth employment creation in agriculture and agro-processing. The framework proposes a greater variety of apprenticeship offered and better promotion of apprenticeships to address outdated perceptions that they are not meant for “the best”. Agriculture apprenticeships would provide Kenyan youth with skills in different areas. Also, the system would reduce social inequalities as it would dismantle the practice of offering unpaid informal work experience to young people. The first step is to reform the education curriculum and increase agriculture lessons. Also, employers should be encouraged to give students talks on the range of opportunities available in agriculture. Second, the government should provide incentives to enhance apprenticeship for youth. Employers should be encouraged to forge links with schools and colleges to access young people, especially the disadvantaged. The government should introduce a requirement for firms to employ five per cent of their workforce in “earn and learn” positions. Also, Kenya should create an apprenticeship fund to support employers and apprentices in agriculture. An apprenticeship levy could be considered to raise money for training of young people interested in agriculture. Many young people interested in farming are unable to access finance from institutions such as banks because they are considered high risk borrowers. A coordinated approach of youth employment programmes at the national and county levels, especially in agriculture, is critical for progress. Central to this is ensuring that promotion of agriculture is not left to the government alone. All actors including the public and private sectors, youth, learning institutions, media and development partners should be brought on board. Most important, there is need for partnership with the Labour ministry — through the recently established National Employment Authority — to enhance efforts in creating job opportunities for youth in agriculture.